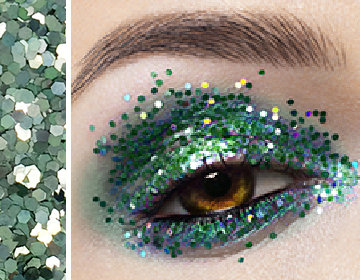 Biodegradable glitter is a glitter specially made from renewable raw materials. 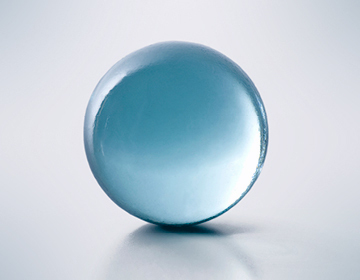 SiLiglam PURE BIO SPARKLE is made from Cellulose. It decomposes to carbon dioxide, water and biomass. The proportion of biodegradable material is 99.9%. 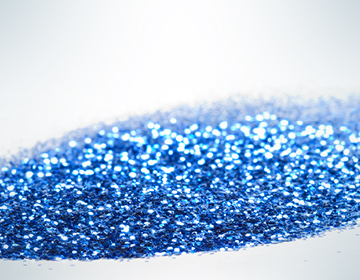 This type of glitter is free of polymers and plastics. The tinsel is suitable for food contact according to (EU) No. 10/2011. 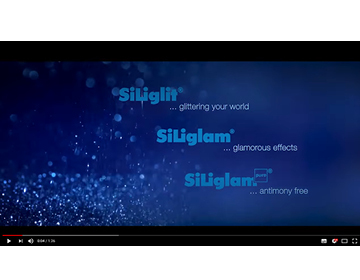 Glitter production of SiLi is certified according to cosmetics GMP ISO 22716.